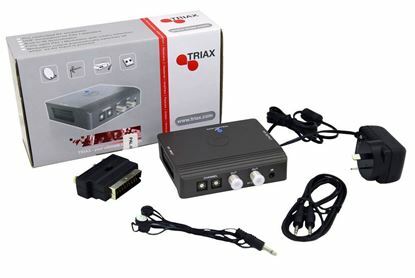 TRIAX Tri-Link Kit/RF Modulator with IR. 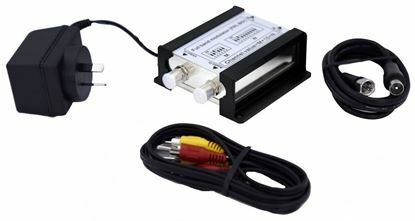 TRIAX Tri-Link Kit/RF Modulator with IR. STARVIEW Mono RF Modulator. Channels E02-69. 48.25MHz~855.25MHz STARVIEW Mono RF Modulator. Channels E02-69. 48.25MHz~855.25MHz . Output Level: 74~80dBuV. AV input RCA ports. RF-in, RF-out.